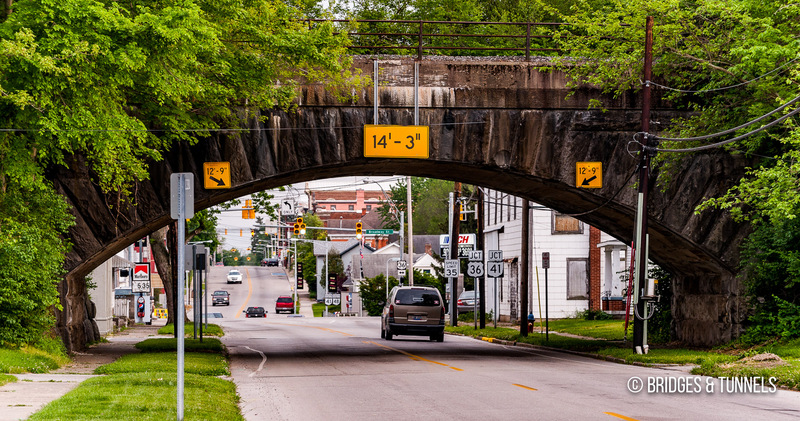 A series of four overpasses were constructed for the Columbus, Piqua & Indiana Railroad in Covington, Ohio. 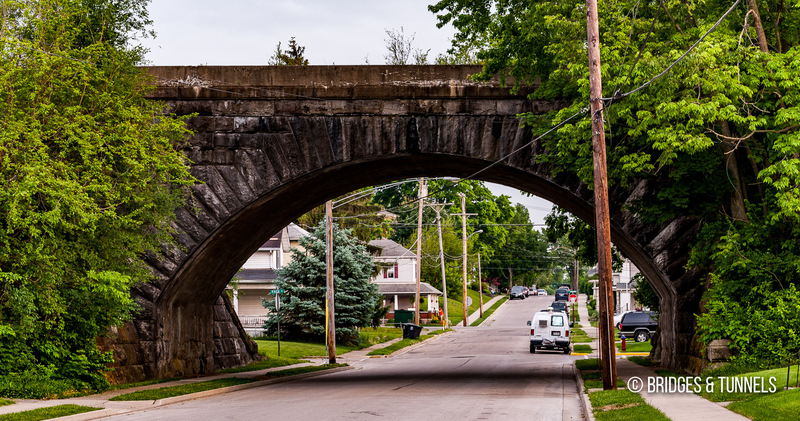 The line westward, from Columbus, Ohio to Union City, Indiana, opened on March 25, 1859. The railroad eventually became part of the Pennsylvania Railroad and then Conrail before being abandoned in 1983. 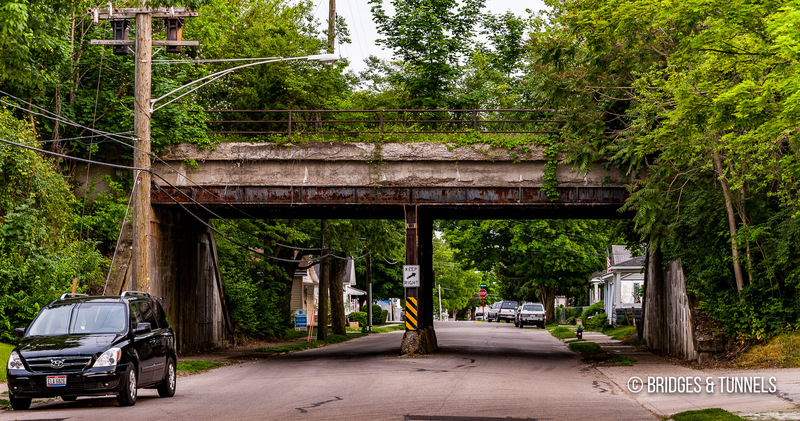 North Mill Street; overpass has since been removed. 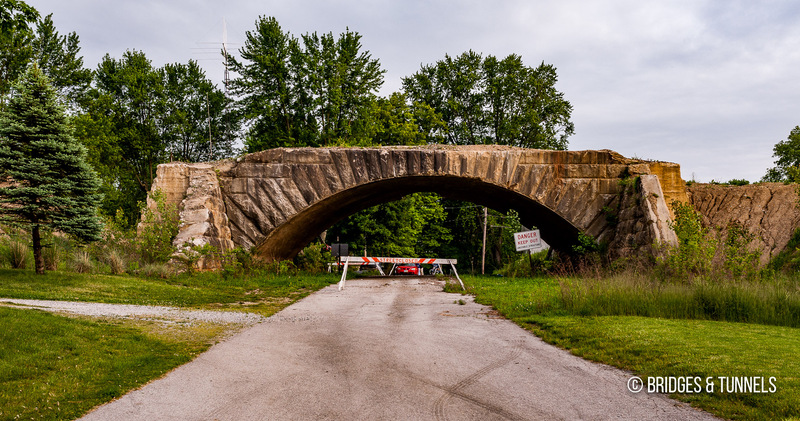 Adrian Miller requested to tear down the Wall Street overpass on May 1, 2008, with the goal to keep the stones for personal use.2 The North Mill Street overpass, after being excavated around for dirt, was given a bridge inspection in the spring of 2009. The underpass has since been closed to traffic. Village of Covington, Ohio. Record of Proceedings Covington Village Council Meeting. N.p., 23 Mar. 2009. Web. 21 May 2012. Village of Covington, Ohio. Record of Proceedings Covington Village Council Meeting. N.p., 25 Feb. 2005. Web. 21 May 2012.